Heid will read from her own work and present from her recent anthology. Her poetry is beautiful and complex. She will show brief poetry videos, called “poemeos,” which she has created in collaboration with an all-indigenous team of visual artists, animators, filmmakers, and composers. The sounds and images weave in and out in a kind of dance that includes her Native heritage, her love of nature and a fair amount of social criticism, some of it subtle and ironic, other times straight-forward. No Ticket Required. This is a free event. The book festival will have books available to purchase at the event. 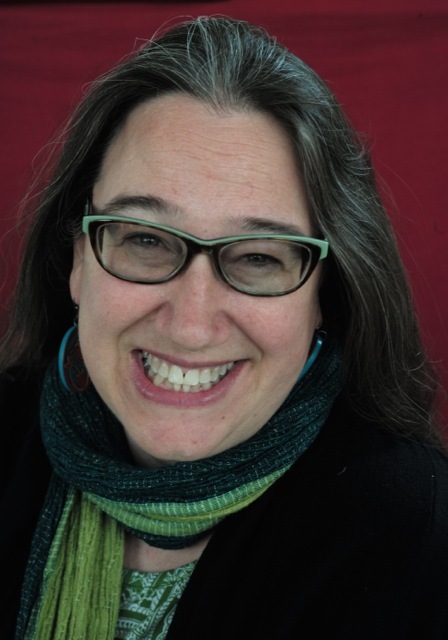 HEID E. ERDRICH is author of eight books of poetry including Curator of Ephemera at the New Museum for Archaic Media (2017), winner of the Minnesota Book Awards, and is editor of New Poets of Native Nations (2018). Her work has won numerous awards including a 2018 Native Arts and Cultures Fund National Fellowship. Heid is Ojibwe enrolled at Turtle Mountain. She teaches in the Augsburg University low-residency MFA program. Click here to visit Erdrich’s website for additional information as well as samples of her work. This event is co-sponsored by the Menomonie Public Library. Going beyond simple distinctions of first- and third-person and using the author’s novel Rebellion as an example, this talk will illuminate the benefits of employing diverse perspectives in novel writing. >> Our book sales committee will have copies of Rebellion available for purchase at this event. Please join us for an autographing session following the presentation. This event is co-sponsored by the Friends of the Chippewa Falls Public Library. Heather’s hopeful book introduces us to an interdisciplinary force of people from all over the world working to change the fate of pollinators and to make the world a healthier place for humans too. >> Our book sales committee will have copies of Where Honeybees Thrive: Stories from the Field available for purchase at this event. Please join us for an autographing session following the presentation. HEATHER SWAN'S creative nonfiction has appeared in Aeon, ISLE, Resilience, About Place Journal, and Edge Effects. Her poetry has appeared in such places as Poet Lore, Raleigh Review, Phoebe, Basalt, Midwestern Gothic, Cold Mountain Review, The Hopper, and About Place Journal. Her book Where Honeybees Thrive: Stories from the Field (Penn State Press, 2017) received the Sigurd F. Olson Nature Writing Award from Northland College. She teaches at the University of Wisconsin–Madison. >> Our book sales committee will have copies of Desolation Mountain available for purchase at this event. Please join us for an autographing session following the presentation. This event is co-sponsored by the Fall Creek Public Library. Professor Pearson will discuss how anthropological research was used in writing his book about the impact of frac sand mining on sense of place, community, and local democracy in our area. >> Our book sales committee will have copies of When the Hills Are Gone: Frac Sand Mining and the Struggle for Community available for purchase at this event. Please join us for an autographing session following the presentation. THOMAS W. PEARSON is associate professor of anthropology and assistant director of the Honors College at UW–Stout. He is the author of When the Hills Are Gone: Frac Sand Mining and the Struggle for Community, published by the University of Minnesota Press. His writing has also appeared in several academic journals, including American Anthropologist, Cultural Anthropology, American Ethnologist, and Human Organization. He lives in Menomonie, Wisconsin. This event is co-sponsored by the Chippewa Valley Museum. Mai Neng Moua will discuss the importance of written literature in the Hmong community, which has only had a formal writing system since the 1950s, and share reactions to the memoir from members of her own community. Tickets can be purchased online by clicking below. After September 22, tickets can also be purchased in person at Pablo Center at the Confluence box office. >> Our book sales committee will have copies of The Bride Price: A Hmong Wedding Story available for purchase at this event. Please join us for an autographing session following the presentation. MAI NENG MOUA is a writer spinning tales of what it means to be Hmong in America. Her memoir, The Bride Price: A Hmong Wedding Story, was published by the Minnesota Historical Society Press in March 2017. She is the founder of Paj Ntaub Voice Hmoob literary journal and editor of the first Hmong American anthology, Bamboo Among the Oaks: Contemporary Writing by Hmong Americans. Her artistic awards include the Bush Artists Fellowship, the Minnesota State Arts Board Artist Initiative Grant, the Jerome Travel Grant, the Loft Literary Center's Mentor Series, and Kundiman’s Creative Nonfiction Intensive. Mai Neng has taught creative writing to youth through the Jane Addams School for Democracy, COMPAS, and Success Beyond the Classroom. She graduated from St. Olaf College in Northfield and attended the Hubert H. Humphrey Institute of Public Affairs in Minneapolis. She lives in Minneapolis with her husband and two girls. This is the 2nd Annual John, Elizabeth and Alison Morris Memorial Event, sponsored by Greg Morris and the University of Wisconsin–Eau Claire Foundation. Behind Wilder’s beloved epic of pioneer life lies a complicated story of homesteading hardships and economic and environmental disaster. Fraser will talk about the history behind the life—from the Plains Indian Wars and the settlement of the prairies to the Dust Bowl and the Great Depression—and how Wilder ultimately transformed pure struggle into an uplifting saga. Tickets for this event, held at the new Pablo Center at the Confluence, are $10. >> Our book sales committee will have copies of Prairie Fires, The American Dreams of Laura Ingalls Wilder available for purchase at this event. Please join us for an autographing session following the presentation. CAROLINE FRASER is the editor of the Library of America edition of Laura Ingalls Wilder’s Little House books and the author of Rewilding the World and God’s Perfect Child. Her writing has appeared in The New York Review of Books, The New Yorker, The Atlantic, the Los Angeles Times, and the London Review of Books, among other publications. Her new biography, Prairie Fires, The American Dreams of Laura Ingalls Wilder, was the 2018 Pulitzer Prize Winner in Biography. It was also named one of the New York Times’ 10 Best Books of 2017 and was nominated for both a National Book Critics Circle Award in Biography and a Plutarch Award by the Biographers International Organization. This event is co-sponsored by the Altoona Public Library. When a character evolves from curmudgeon to hero, how do readers respond, and why? >> Our book sales committee will have copies of Death Rides the Ferry available for purchase at this event. Please join us for an autographing session following the presentation. PATRICIA SKALKA won the Edna Ferber Fiction Award from the Council for Wisconsin Writers for Death in Cold Water, the third of her Dave Cubiak Door County Mysteries. The series began with Death Stalks Door County, and continued with Death at Gills Rock, and, most recently, Death Rides the Ferry. A former Reader’s Digest staff writer, Skalka is also the author of several nonfiction books. She is a member of The Authors Guild, Mystery Writers of America, Wisconsin Writers Association, and Society of Midland Authors. She lives in Chicago and Door County. This event is co-sponsored by the Office of the Chancellor and the Dean of the College of Arts, Communications, Humanities and Social Sciences at the University of Wisconsin-Stout. Nickolas Butler will read from his forthcoming novel, Little Faith, and describe the research and personal journey that led to the book's publication. NICKOLAS BUTLER is the internationally best-selling and award-winning author of Shotgun Lovesongs, Beneath the Bonfire, and The Hearts of Men. His fourth book, Little Faith, will be published in 2019. Little Faith tells the story of a family in western Wisconsin dealing with the troubling magnetism of a fringe church. ecWIT (Eau Claire Women in Theater) is: Debbie Brown, Kathleen Sullivan, Ann Pearson, Sue Fulkerson, Sara Bryan, and Beverly Olsonn—a group of area women with backgrounds in education, theater and performance, who use dramatic reading to share their love of literature. ecWIT’s programs include plays, essays, fiction and poetry presented with interactive characterization without props, sets or costumes. They are proud to be a part of the 2018 Chippewa Valley Book Festival where they will explore a variety of selections from this year’s outstanding authors. This event is co-sponsored by the Friends of L.E. Phillips Memorial Public Library. >> Our book sales committee will have copies of The Education of Will available for purchase at this event. Please join us for an autographing session following the presentation. PATRICIA McCONNELL, PhD, CAAB, is an ethologist who has consulted with pet owners for over twenty five years. She taught "The Biology and Philosophy of Human/Animal Relationships” at the UW–Madison for over two decades and speaks around the world about canine behavior and training. Dr. McConnell is the author of thirteen books on animal training and behavior, as well as her newest book, The Education of Will: Healing a Dog, Facing My Fears, Reclaiming My Life, a memoir about healing from trauma in both people and dogs. Patricia and her husband live with their working border collies Willie and Maggie, and her Cavalier King Charles Spaniel, Tootsie, along with a very spoiled flock of sheep. The author will discuss the evolution of his last two novels. He will also read from Wintering and the final installment of the Eide Family Trilogy, Northernmost, due out in 2020. >> Our book sales committee will have copies of Wintering available for purchase at this event. Please join us for an autographing session following the presentation. PETER GEYE is the award-winning author of Safe from the Sea, The Lighthouse Road, and Wintering. Peter received his MFA from the University of New Orleans and his PhD from Western Michigan University, where he was editor of Third Coast. He is the author of three acclaimed novels set in a fictionalized northern Minnesota town of Gunflint. The most recent book in the series, Wintering, was awarded the 2017 Minnesota Book Award for Fiction. Geye was born and raised in Minneapolis and continues to live there with his wife and three children. Leah Weiss explains her process of tapping into the cadence and rhythm of the remote mountain voices of North Carolina. >> Our book sales committee will have copies of If the Creek Don’t Rise available for purchase at this event. Please join us for an autographing session following the presentation. LEAH WEISS is a best-selling author born in North Carolina and raised near the Blue Ridge Mountains of Virginia. Her debut novel, If the Creek Don’t Rise, released in August of 2017, was selected as an Indie Next, Southern Indie Booksellers' Choice Book for 2017 and Library Reads. Her short stories have been published in magazines and online magazines such as The Simple Life, Every Day Fiction, and Deep South Magazine. In 2015, she retired from a her career of twenty-four years as Executive Assistant to the Headmaster at Virginia Episcopal School. She lives in Virginia with her husband and enjoys writing, traveling, hiking, and speaking to book clubs. Author Miriam Karmel will make an unapologetic case for the short story as a form that is neither a novel in miniature, nor a prelude to something big. >> Our book sales committee will have copies of Subtle Variations and Other Stories available for purchase at this event. Please join us for an autographing session following the presentation. MIRIAM KARMEL’s stories have appeared in Bellevue Literary Review, Water~Stone Review, Passages North, Coe Review, Moment Magazine, and more. She is the recipient of numerous awards, including Minnesota Monthly’s Tamarack Award for her short story, The Queen of Love. Her story, The King of Marvin Gardens was anthologized in Milkweed Edition’s Fiction on a Stick (2008). Being Esther (Milkweed Editions), her debut novel, was published in 2013. Subtle Variations and Other Stories (Holy Cow! Press), was published in October 2017. It was the winning selection in the inaugural First Fiction contest, sponsored by Holy Cow! Press of Duluth, Minnesota and the Lindquist & Vennum Foundation. Fontaine’s book debut is a memoir of five months in 2013 when she faced her largest fears. She joined “World of Wonders” as a fire-eating, snake-charming, escape-artist magician — with no prior snake or flame-eating experience! Why would a 28 year old join a traveling show? Two years earlier, Fontaine’s mother had a massive stroke leaving her unable to walk or talk. Tessa dealt with this trauma by looking fear in the face and joining the show, as a way of schooling herself in the character strength of bravery. If her mother could face her new life in a wheelchair, Tessa could face snakes and fire. 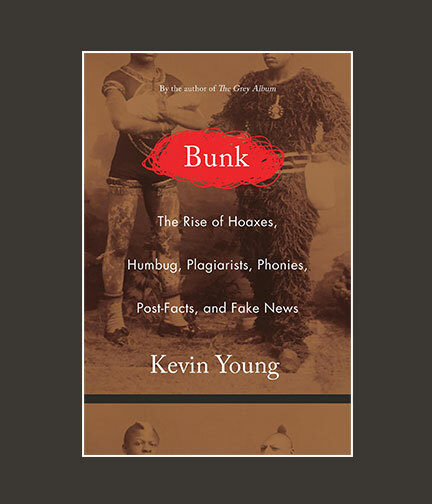 Much of the conventional wisdom around writing nonfiction concerns a careful adherence to predetermined rules, such as writing truthfully and ethically. In this talk the author will speak about nonfiction’s wild sister, and when she demands we throw caution to the wind. Oven roasted chicken breast with garlic cream sauce and buttermilk mashed potatoes. Served with a fresh seasonal vegetable. Wild mushroom ravioli topped with fresh sauteed zucchini and roasted red peppers with a light garlic cream sauce. Served with a fresh seasonal vegetable. North Atlantic Salmon fillet seasoned and baked with white wine and butter, topped with a lemon and lime citrus cream sauce. Served with a wild rice pilaf and a fresh seasonal vegetable. >> Our book sales committee will have copies of The Electric Woman available for purchase at this event. Please join us for an autographing session following the presentation. TESSA FONTAINE is the author of The Electric Woman, a memoir about performing in America’s last traveling sideshow. Other writing has appeared in PANK, Seneca Review, The Rumpus, and elsewhere. She holds an MFA from the University of Alabama and is working on a PhD in creative writing at the University of Utah. She has taught in prisons for five years, and founded a Writers in the Schools program in Salt Lake City. She currently lives in South Carolina. This event is the Nadine St. Louis Memorial Poetry Conversation 2018. Jesse Lee Kercheval and Karen Kovacik, along with a chorus of Eau Claire area poets and lovers of poetry, will read from their recent anthologies and translations of Polish and Uruguayan poets in a celebration of world poetry and a conversation between continents and countries. >> Our book sales committee will have copies of América Invertida: An Anthology of Emerging Uruguayan Poets and Scattering the Dark available for purchase at this event. Please join us for an autographing session following the presentation. JESSE LEE KERCHEVAL's recent translations include The Invisible Bridge: Selected Poems of Circe Maia and Fable of an Inconsolable Man by Javier Etchevarren. She is the editor of América Invertida: An Anthology of Emerging Uruguayan Poets and Earth, Sky and Water: A Bilingual Anthology of Environmental Poems. In addition, she has authored fourteen books of poetry and prose including The Alice Stories, winner of the Prairie Schooner Fiction Book Prize and the memoir Space, winner of the Alex Award from the American Library Association. She is the Zona Gale Professor of English at the University of Wisconsin-Madison. KAREN KOVACIK is the author of the poetry collections Metropolis Burning, Beyond the Velvet Curtain, and Nixon and I. Her work as a poet and translator has received numerous honors, including the Charity Randall Citation from the International Poetry Forum, a fellowship in literary translation from the National Endowment for the Arts, and a Fulbright Research Grant to Poland. In 2013, White Pine Press published her book-length translation of Agnieszka Kuciak’s Distant Lands: An Anthology of Poets Who Don’t Exist. She is the editor of the anthology of Polish women poets, Scattering the Dark (White Pine, 2016). Professor of English at Indiana University-Purdue University–Indianapolis, she served as Indiana’s Poet Laureate from 2012-2014. This event is co-sponsored by the Katherine S. Schneider Disability Issues Forum and the University of Wisconsin-Eau Claire Foundation. Captioning and sign language interpreting will be provided by the L. E. Phillips Family Foundation. Sally Webb has provided additional support. Kathy Nimmer shares stories of the children she has encountered in twenty-six years of teaching, as well as the assistance dogs who have partnered with her and others with disabilities. You will laugh, cry, and realize how much our lives are made better when we recognize the power that both young people and dogs have to change our lives. KATHY NIMMER is the 2015 Indiana Teacher of the Year and a finalist for 2015 National Teacher of the Year. Recently, she received the Dollywood Foundation’s Chasing Rainbows Award and the NFB’s Blind Educator of the Year Award. Through a Lilly Teacher Fellowship, Kathy wrote and published an anthology called Two Plus Four Equals One: Celebrating the Partnership of People with Disabilities and Their Assistance Dogs. This followed a book of poetry called Minutes in the Dark, Eternity in the Light. Kathy teaches writing, mentors new teachers, and speaks at numerous events. She earned her BA in English Education from Trinity Christian College in 1991 and her MA from Purdue University in 1992. This event is co-sponsored by Memorial High School. Students, parents and the entire community are invited to create lasting memories by meeting award winning authors presenting in area schools during the Chippewa Valley Book Festival. Begin a collection of personally autographed books for yourself or a young person you love. They will be treasured for a lifetime! And don’t forget your cameras! Barstow & Grand seeks to fulfill a humble mission—to support the writers of the Chippewa Valley by offering an outlet for their creative writing, and to help them grow and professionalize their craft through the process of submission. Issue #2 offers as broad and impressive a mix as Issue #1 did, with novice and professional writers, folks who have lived in the Chippewa Valley their entire lives and those who have joined our community from afar. The release party for Issue #2 will feature readings from the journal, including fiction, nonfiction, and poetry, as well as commentary from the editors on the publication process and how the journal has grown in its second year. Stop down to hear some incredible writing, pick up an issue, check out the Pablo Center(! ), and connect with the Chippewa Valley's community of writers. This event is co-sponsored by the Department of Geography and Anthropology at the University of Wisconsin-Eau Claire. >> Our book sales committee will have copies of Rez Life: An Indian’s Journey Through Reservation Life available for purchase at this event. Please join us for an autographing session following the presentation. DAVID TREUER is Ojibwe from the Leech Lake Reservation in northern Minnesota. He is the author of four novels and two books of nonfiction. His work has appeared in Orion, Harpers, The Washington Post, Saveur, and The New York Times among others. He is the recipient of a Pushcart Prize and fellowships from the Guggenheim Foundation, and the Bush Foundation. In Rez Life: An Indian’s Journey Through Reservation Life, his first full-length work of nonfiction, Treuer brings a novelist’s storytelling skill and an eye for detail to a complex and subtle examination of Native American reservation life, past and present. His latest novel, Prudence, is available from Riverhead Books. A new major work of nonfiction--Heartbeat of Wounded Knee: Indian America from 1890 to the Present--will be published by Riverhead in January 2019. He divides his time between Los Angeles, where he is a Professor of English at the University of Southern California, and the Leech Lake Reservation.